A spiritual journey to the sites of the Restoration. Join us as we visit Palmyra, Fayette, Susquehanna, Kirtland, Independence, Liberty Jail, Far West, Adam-ondi-Ahman, Nauvoo, Carthage Jail, and so much more! Hear the stories and read the revelations at the actual sites where they took place. Be taught while traveling and while visiting these sacred sites by historical guides, set apart missionaries, and each other. We won’t just talk about the history of these places, but how the stories of the past can help us draw closer to the Savior in our everyday lives! Hear what others are saying about our tours! *SOLD OUT* Ultimate Church History Tour: May 6 – 16, 2019 – See it all on this amazing, spiritual journey to ALL the sites of the Restoration! Join us as we visit the Sacred Grove, Hill Cumorah, Grandin Press, Fayette, Susquehanna, the new Priesthood Restoration Site, Historic Kirtland, Independence, Liberty Jail, Far West, Adam-ondi-Ahman, Nauvoo, Carthage Jail, and so much more! 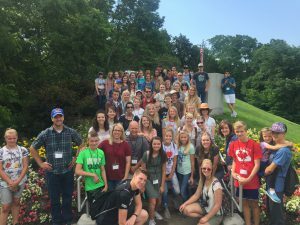 LDS Church History Tours For Youth – Summer 2019 Feel the spirit as we visit the sacred sites of the Restoration. Learn from experienced educators, set apart missionaries, and each other. Our Youth trips sell out several months early. Your $350 first payment reserves your spot and is fully refundable until 90 days prior to departure. If your ward/stake youth camps end up conflicting with our tour dates, we can move you to another tour date, or refund your money. Palmyra and Kirtland: September 27 – October 2, 2019 – Beautiful Fall colors in New England! Visit Palmyra, Fayette, Susquehanna, and Kirtland. 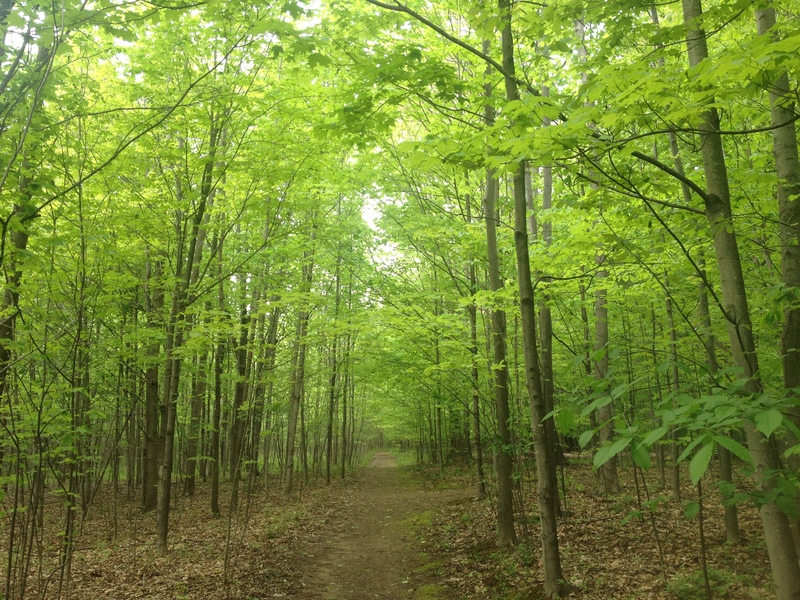 Join us as we visit the Sacred Grove, Hill Cumorah, Grandin Press, Peter Whitmer Farm, Susquehanna River, John Johnson Farm, Newell K Whitney Store, Kirtland Temple, Niagara Falls, and so much more! We will also have time to attend the Palmyra Temple. *SOLD OUT* – Ultimate Church History Tour: October 7 – 17, 2019 – See it all on this amazing, spiritual journey to ALL the sites of the Restoration! 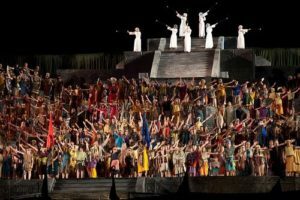 Join us as we visit the Sacred Grove, Hill Cumorah, Grandin Press, Fayette, Susquehanna, the new Priesthood Restoration Site, Historic Kirtland, Independence, Liberty Jail, Far West, Adam-ondi-Ahman, Nauvoo, Carthage Jail, and so much more! Ultimate Church History Tour: May 13 – 23, 2020 – *200th Anniversary of the First Vision* See it all on this amazing, spiritual journey to ALL the sites of the Restoration! Join us as we visit the Sacred Grove, Hill Cumorah, Grandin Press, Fayette, Susquehanna, the new Priesthood Restoration Site, Historic Kirtland, Independence, Liberty Jail, Far West, Adam-ondi-Ahman, Nauvoo, Carthage Jail, and so much more. Plus, Niagara Falls! Beautiful Nauvoo: Coming Summertime Soon – Spend a sacred week visiting Nauvoo, Carthage Jail, Independence, Liberty Jail, Far West, Adam-ondi-Ahman, and more. 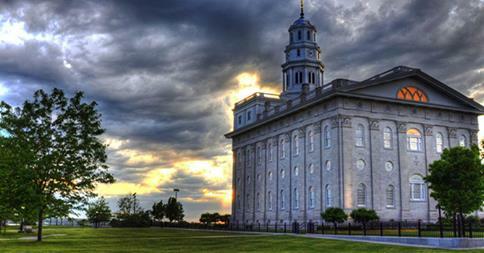 Attend the Nauvoo Temple and witness the Nauvoo Pageant and the British Pageant. See the historical sites and homes, attend the shows and performances, and participate in the activities. Below is a general itinerary for our Ultimate Church History Tours. Please select one of our tours above for exact details pertaining to each trip. Fly to Rochester, NY and receive a transfer to our hotel. We will hold a short fireside this evening and discuss our upcoming trip itinerary. We will spend a full day seeing the sites in Palmyra. Our stops will include the Sacred Grove, the Smith Family Farm, the rebuilt log home where the Moroni visits took place, the Hill Cumorah, the Grandin Press (where the Book of Mormon was first published), the Martin Harris Farm, the Palmyra Cemetery. There will be time to attend the Palmyra Temple. Today will we travel to Fayette, NY and see the Peter Whitmer Farm. This is where the Church was officially organized. We will then travel to Harmony, PA and to the Susquehanna River where the Priesthood was restored The new Priesthood Restoration Site is amazing. We will make our way towards Kirtland, OH today while making a stop at the John Johnson Farm. Here Section 76, and other revelations were received. The Father and Son appeared here and many other sacred events took place in this farmhouse. We will spend the day in Kirtland, Ohio today. 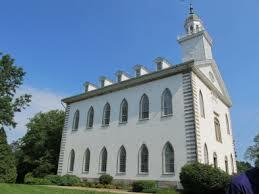 We will visit the Kirtland Temple, the Kirtland Visitors’ Center, the Newell K. Whitney home where Joseph and Emma lived, the Newell K. Whitney store which included the School of the Prophets and where many revelations (including the Word of Wisdom) were received, the John Johnson Inn where the Church periodical The Evening and Morning Star was published, the reconstructed Kirtland Schoolhouse, the Kirtland Ashery and a reconstructed water-powered sawmill, the exterior of Joseph Smith’s home, the Morley Farm, and the Chaplin Forest Stone Quarry where much of the stone for the Kirtland Temple was obtained. This morning, we will be transferred to the Cleveland, Ohio airport for our flights to the Kansas City, Missouri airport where we will be met with ground transportation to our hotel. For those interested, we will attend the Kansas City Temple tonight. Today we will start the Missouri portion of our LDS Church History Tour. It will be a full day of sightseeing. We will visit Independence, Liberty Jail, Far West, and Adam-ondi-Ahman. 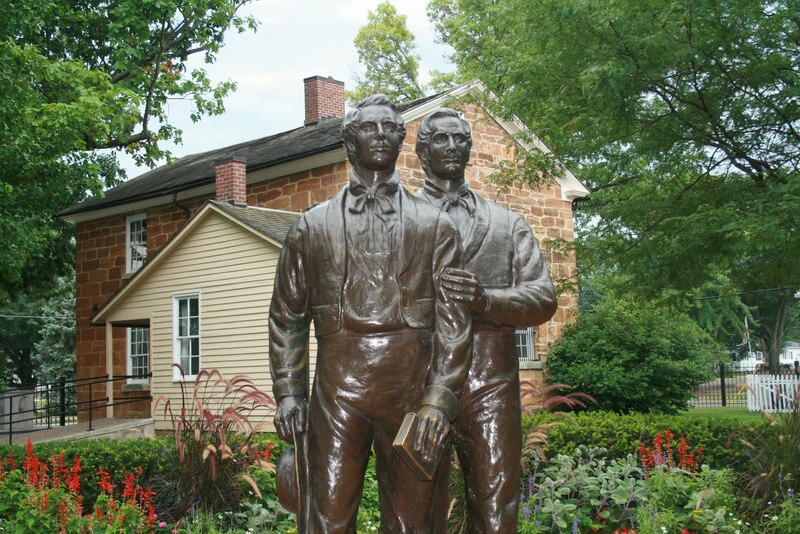 Our first full day in Nauvoo which will include the Nauvoo Temple, the Visitor’s Center, the Relief Society Statue Gardens, the Seventies Hall, the Old Pioneer Cemetery, Brigham Young’s home, Wilford Woodruff’s home, Heber C. Kimball’s home and many other homes. We will also see the Red Brick Store, and the Mansion House and many, many other historical sites. We will start the day by visiting the sites we missed yesterday. We will then walk the Trail of Hope where the pioneers started their Westward trek to the Salt Lake Valley. You may choose to attend the Nauvoo temple today as well. We will also attend the production of “Rendezvous in Old Nauvoo” tonight. Today we will visit the Carthage Jail. We will have free time to revisit the sites in Nauvoo, shop, or just relax on the Temple grounds. We will travel to St. Louis, Missouri later tonight. The hotel will transfer you to the airport for your flight. Join Tom Pettit and visit the LDS Church history sites of Palmyra, Kirkland, Missouri and Nauvoo. Tom’s unique focus on these tours is not to just teach the history, but to help the youth draw closer to the Savior by applying the lessons learned from these historical events to your own daily life. To learn more about Tom Pettit, please visit our Blog page. Tom has become a student of the information taught on this and other LDS Church history tours. He has devoted several hundreds of hours to studying. He has been teaching the gospel to youth and adults continuously for the last 15 years by serving as a youth Sunday School teacher, an Elders Quorum presidency councilor, Ward Young Men’s Presidency councilor, Stake Young Men’s Presidency councilor, Gospel Doctrine teacher, Mission Prep class teacher, and counselor in the Bishopric. Tom served his mission in Australia. He and his wife Lesa have five children and live in Lehi, UT. Learn more about Tom Pettit by visiting our About Us page. Terms and Conditions: All Rates are per person based on occupancy. Prices listed are cash/check prices. Please add 2.9% for the bank’s fee if paying by credit card. Booking Requirements: A $350 deposit, per person, is required to confirm your reservations. Balance is due approximately 90 days prior to departure. Check each tour for specific payment dates.